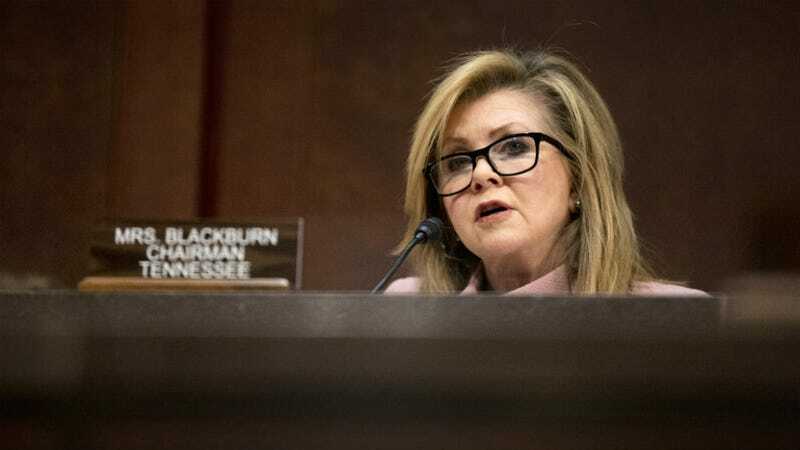 That didn’t stop Rep. Marsha Blackburn of Tennessee from convening a special House subcommittee, the Select Panel on Infant Lives, which pledged to find out whether abortion clinics—they carefully avoid naming Planned Parenthood specifically—sell aborted fetuses for profit to fetal tissue procurement companies. By which they mean they’ll use the flimsiest shred of evidence to pretend as though that’s happening. To that end, the Republicans on the committee touted a bunch of newly released documents, all of which you can see here. Most of them appear to be paperwork and procedural protocols from tissue procurement companies. Those companies don’t just obtain fetal tissue; they also get other types of tissue and maternal cord blood. But as The Hill reported, it’s unclear, first of all, where these documents came from; Democrats expressed concern that they’d been provided by David Daleiden, the guy who was just indicted for fraud and who both tissue procurement company StemExpress and Planned Parenthood are accusing of illegally obtaining documents. Lawyers for StemExpress sent the panel a letter calling the documents misleading. “It appears that the Majority Staff may have repurposed unauthenticated, stolen documents illegally obtained by David Daleiden and the Center for Medical Progress (‘CMP’),” states a letter to the committee from Stem Express’s lawyers at McDermott Will & Emery. For example, the letter states that Exhibit B2, touting services as “financially profitable,” was used for Stem Express’s work on adult blood and adult tissue, as opposed to only for fetal tissue donation. Nonetheless, for a good three hours, a panel of witnesses declared that yes, this whole thing proves that the “abortion industry” sells baby parts. In other words, then, this panel of deeply anti-abortion people, set up to prove that abortion clinics sell baby parts, has concluded that abortion clinics sell baby parts. Imagine that. If you feel the need to spend nearly three hours in a state of advanced frustration, the full video of the hearing is below.